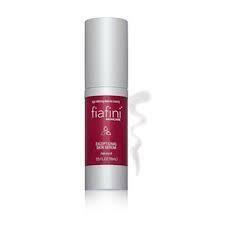 Fiafini Skincare is a clinically-proven skincare that harnesses the legendary antioxidant power of South African Marula beauty oil for advanced anti-aging benefits. Marula oil is a potent, powerful and pure anti-aging wonder. Ten times more stable on the skin than olive oil and rich in vitamin C, this remarkable oil is naturally chemical-free, and safe for all skin types, even sensitive. Now for the first time ever, you can treat your skin to the incredible anti-aging miracle of 100% natural and chemical-free Marula beauty oil with Fiafini Skincare – the first skincare to offer efficacious levels of this anti-aging and anti-oxidant superstar from South Africa known to fight the signs of aging. I absolutely love skincare products that are derived from nature. I was excited to receive samples of Fifiani Skincare products to review. I was sent the following: Delicate Cleansing Emulsion, Divine Hydration Moisturizer, Deluxe Anti-Aging Eye Cream, and Exceptional Skin Serum. This lightweight daily cleanser gently clarifies and purifies the skin. Delicate Cleansing Emulsion quickly dissolves all traces of dirt, oil and makeup from the skin while delivering powerful anti-aging benefits with Marula oil. Thishis creamy cleanser helps to lift away toxins and environmental impurities that can stress or further damage sensitive skin, all while protecting against redness or irritation. Humectants help preserve skin’s natural moisture barrier and is free of fragrance, alcohol, mineral oil, and all parabens. My Experience: This is my new favorite cleanser! I like to wash my face in the shower, so I bring Delicate Cleansing Emulsion into the shower and lather up my face, neck and chest. I love how it removes all of my makeup and yes, it even removes my eye makeup without stinging my eyes. My skin is left pure and clean and not stripped of moisture. This hydrating and healing moisturizer firms, minimizes wrinkles and restores elasticity. Divine Hydration Moisturizer is the triple-targeted solution to the most common signs of aging. Formulated to be ultra-hydrating yet never heavy, this moisturizer helps soothe and calm redness with Prickly Pear, Avocado and Evening Primrose extracts, while also reducing environmental stress on the skin. Powerful antioxidants Marula oil and vitamin E fight fine lines and wrinkles, and help visibly firm and lift the skin for complete perfection. My Experience: I love how soft and supple my skin is after using this moisturizer. It is amazing! I like to use this at night right after cleansing. I find that my skin looks luminous by morning. I always get too shiny if I use moisturizers during daytime, but my teenage daughters use this as their daily moisturizer. Kendallyn and Myelie love it because it keeps their skin perfectly hydrated all day long and does not clog pores. This deeply hydrating eye cream trejuvenates, repairs, and protects delicate skin around the eyes from environmental damage and the visible signs of aging. Formulated with Malus Domestica Fruit Cell Culture Extract—breakthrough apple seed stem cells that help maintain the healthy functioning and replication of new skin cells in the epidermis—this powerful cream also contains the powerful antioxidant Marula oil and clinically-proven peptides to help reverse the appearance of fine lines, wrinkles and crow’s feet around the eyes both immediately and in the future. Nourishing botanical extracts of chamomile and licorice help decrease inflammation, improve circulation, and prevent puffiness and dark circles. The result? Skin is vital, vibrant, visibly lifted. Free of fragrance, alcohol, mineral oil, and all parabens. My Experience: This eye cream is pure bliss! After I moisturize at night I apply this around my eyes. It feels amazing and my eyes looks rested and refreshed the next morning. I do not have any crows feet or lines around my eye area, but I feel that this cream is helping to prevent them. No circles under my eyes, either! This feather light formula provides dynamic hydration that feels weightless. 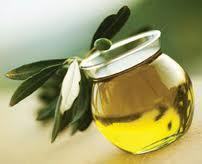 Marula oil and Vitamin E infuse skin with potent anti-oxidants for complete anti-aging benefits. Chronobiological Cell Energizers actively help keep skin firm and lifted. Glycerin nourishes and softens skin, protecting against moisture loss. My Experience: This is one of the best serums I have ever tried. I apply it at night before I apply my moisturizer. I really feel my skin is much firmer and more radiant. I love it!